In front of Seodaemun Prison History Hall, Seoul. Sept. 5, 2011. “Shoot!” “Action!” “Cut.” From the sounds on the location, I’m not sure if I’ve found the Japanese film shoot alright. And then a Korean visual effects staffer says, “Those high-rise apartments in back of the prison can be erased with CGI” to Banmei TAKAHASHI with the help of a Japanese interpreter. Everyone involved in the film got tanned uniformly spending the whole summer scouting locations in Hapcheon and Buan. Maybe that’s why it’s sort of difficult to figure out who is Korean and who is Japanese here? It’s the last of the production’s 25 shooting days in Korea. The entire crew seems to work fast despite the summery heat. After a while, the producer on the Korean side KIM Joung-min from CJ Powercast lets me know, ”There’s actually more Korean crew than Japanese.” Before getting to the crew make-up, I better tell you what kind of film Hakuji no Hito is. Hakuji no Hito (which translates to “the man of white porcelain”) is based on the book written by Takayuki EMIYA. The main character ASAKAWA Tagumi was an actual figure from the Japanese occupation era in Korea, which was called Joseon at the time. Asakawa (played by YOSHIZAWA Hisashi) works for the Forestry Research Center, a branch the Japanese Government-general of Joseon. He is not interested in his country which is systematically gobbling up Joseon, or his colleagues who say they plant trees for development. Asakawa has only one reason for planting trees: “to make mountains green”. He has always been filled with regret over the stripping of Joseon at the hands of Japan’s ambition, and Cheong-lim (Bae Soo-bin), anemployee of the center, becomes interested in him because of this. It is from then that they start to look at the treeless dark red mountains of Korea with pity together. One day, Asakawa notices a white porcelain kimchi container at Cheonglim’s house and becomes obsessed with its beauty. It leads him to learn more about Korea’s history of porcelain craftwork, the Korean language, and the nation’s culture. Soon, their unusual friendship comes to a grinding halt when Cheong-lim is arrested for his participation in independence activities. Asakawa, a man with a heart as pure as white porcelain, tries everything to visit Cheong-lim in prison. It is this scene they are shooting when I arrive on set. tourist attractions such as Namsangol Hanok Village and Bukchon. As the story is set in Korea, award-winning director Banmei Takahashi (Tattoo Ari ) and producer OGAWA Kazuhiro wanted to shoot in Korea. They went on a trip to hunt locations in Seoul, where they found Seodaemun Prison History Hall, to outdoor film sets of early 20th century Seoul in Hapcheon, and to cities such as Buan and Gunsan, where older types of Korean houses and Japanese style buildings are still intact. This was when Kim Jeong-min joined them. Kim says, “The Japanese producers had already worked with CJ Powercast for post-production, and as the production needed to be as historically accurate as possible, it was inevitable for them to work with Korean staff.” Ogawa agreed with Kim. There was only one thing to consider when hiring: how to manage a bi-national, bilingual co-production with the highest efficiency. The director, executive producer, script supervisor, assistant director, production assistant, costume designer and makeup artist all came from Japan. A producer, another script supervisor, another assistant director, the directors of photography and lighting, an editing director and the CGI staff are all Korean. 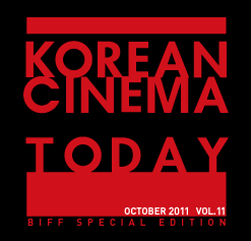 While the executive producer oversees the entire process of production, the Korean producer takes care of shooting on location in Korea, as well as postproduction. The staff’s two interpreters both majored in film studies in Japan. One came from the Kyoto University of Art and Design where Banmei teaches, and the other from Japan’s Academy of the Moving Image, founded by Imamura Shohei. They were able to minimize confusion arising from differing production terminology. Kim notes the reason why they needed two script supervisors: “Naturally, the film’s script has Korean dialogue and Japanese dialogue. 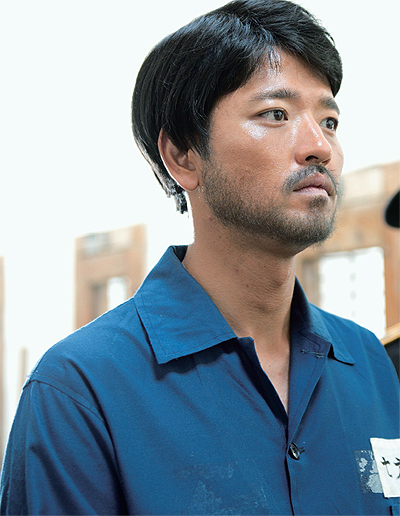 And since editing and CGI are being done in Korea, after each shooting day the Korean script supervisor hands over the script to the editor and CGI staff.” All the cast members except those playing Cheong-lim and Chon-soo are Japanese actors, so costumes, hair and make-up are handled by Japanese staff. However, as the shoot continued, the collaboration between the people from both countries became better and eventually the 25 shooting days in Korea was carried out without any accident. The film’s principal photography will be wrapped up after three more shooting days in Japan. The greatest fruit of this co-production is obviously the opportunity for young crewmembers to experience an international co-production. That is one of many reasons why KOFIC launched the 2011 Foreign Audio-visual Works Production Grant. Along with the Korea-China co-production On the Road , Hakuji no Hito was one of the first projects selected for the program. Both productions will get a grant that covers 25% of production costs spent in Korea. This means that if the Qualifying Production Expenditure (QPE) is US$2 million, US$500,000 will be returned to the producers as a cash incentive after shooting is complete. Why is KOFIC becoming more active in attracting foreign productions with such a program? Firstly, it promotes tourism. Hello Stranger , a Thai film shot entirely in Seoul earned approximately US$4.8 million while showing on around 400 screens throughout Thailand. After the local success of the film, Thai filmgoers started taking trips to Seoul to see spots from the film, which include tourist attractions such as Namsangol Hanok Village and Bukchon. According to statistics reported by the Korea Tourism Organization, the number of tourists from Southeast Asia has increased 40% compared to the previous year. This is why the budget for the KOFIC program is provided by the Korea Tourism Organization’s funds, not from film industry promotion funds. After witnessing other hits shot in Korea, film professionals from Southeast Asia are showing increased interest in having locations in Korea, more than ever before. In 2010, Season 3 of the Malaysian drama Awan Dania , produced by Malaysia’s biggest satellite broadcaster Astro, and Green Rose , a TV series produced by major Filipino broadcaster ABS-CBN, were shot in Korea. Two productions from Malaysia also shot in Korea this year: the TV drama Unmarked Grave and the feature film I Hate You . In this context, the young Korean filmmakers on the Hakuji no Hito production earned much more than just another line on their resumés. LEE Youn-seok, who worked as an interpreter for the production after he graduated from Japan’s Academy of the Moving Image says, “I’ve learned how to better communicate with crewmembers of different nationalities and different languages. I found that it’s critical to have a quick and flexible mind in order to resolve complicated situations when working on an international co-production.” It’s for this sort of reason that locations incentive programs for foreign productions should continue steadily in the long-term, even if it might take a while for real effects to become apparent. But above all, it is exciting simply to see Korea’s landscape through the eyes of foreign filmmakers. prohibited without prior consent of Kofic. - CJ sells &lt;My Way&gt; and &lt;Tarbosaurus&gt; to U.S.